The crowdfunding website implements restrictions on projects to ensure backers understand the risks. Given the sheer amount of projects being advertised on Kickstarter this year, it's easy to forget that most of these games and products, well, don't actually exist yet. Kickstarter must be concerned that their crowdfunding site is being viewed as an online shopping mall; as a result, it has introduced a number of submission requirements designed to remind backers that giving money to a project won't necessarily guarantee a finished product. All Kickstarter projects from now on must answer the following question: "What are the risks and challenges this project faces, and what qualifies you to overcome them?" Answers will be displayed in a new section on the project's page to help users determine if a project's creator has seriously considered all the potential issues they face in finalizing their product. It also serves as a reminder to users that products are still works in progress, so they should think twice before handing over cash to a project that promises the world. Hardware projects are also being subject to a number of restrictions. "Product simulations", such as media that shows what a product might do once it's completed (as opposed to functional prototypes), are no longer allowed. This includes the use of product renderings, presumably so that backers won't interpret these images as the real deal. Kickstarter also introduced a ban on offering multiple quantities of a product as a reward, since it "can imply that products are shrink-wrapped and ready to ship". It's worth noting that the restrictions on hardware projects do not apply to videogames, but it will be relevant to items such as game controllers and game consoles. "Products should be presented as they are. 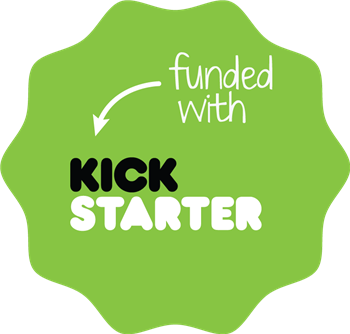 Over-promising leads to higher expectations for backers," Kickstarter advises. "The best rule of thumb: under-promise and over-deliver."